In the cemetery, much of the iconography represents a life ended—the winged death’s head, the hanging bud, the broken wheel, the incomplete circle, the column that is broken. 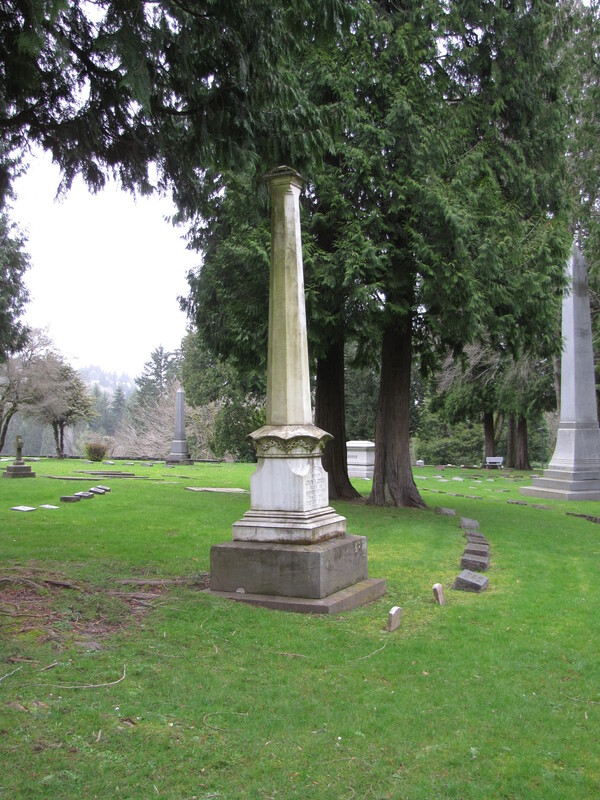 The gravestone below has a broken chain that wraps around the pedestal base of the column. 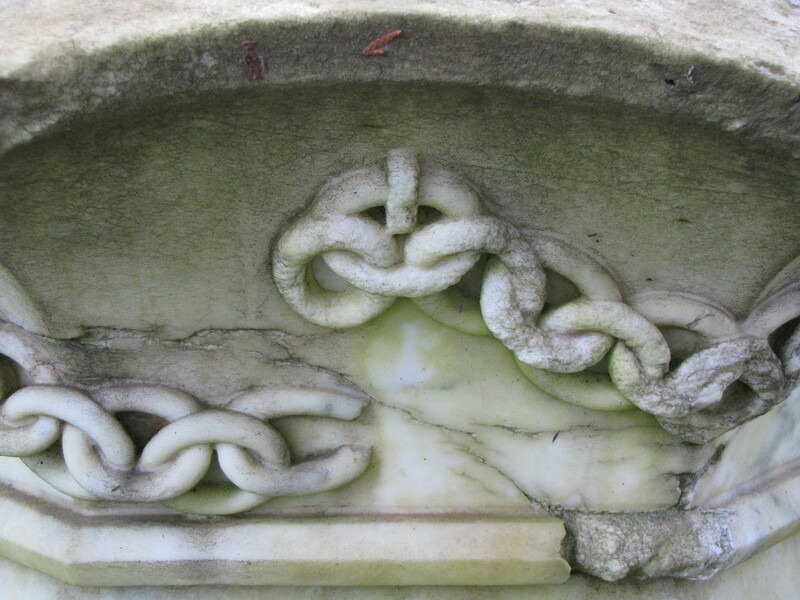 Like much of the funerary art, the broken link of a chain, too, represents the life that was ended. This symbolism dates back to Medieval times when people believed that the soul could be held to the body by a golden chain. Once the chain was broken, the soul took flight and rose from the body leaving Earth and ascended to Heaven.